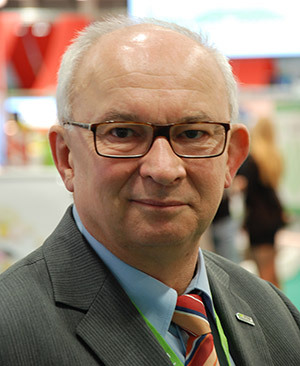 Patrick Wrixon assumes office as new EISA President | EISA e.V. EISA (Brussels): Together with the French wine-grower Sylviane Martin-Pierrat and the German farmer Heinrich Kemper as Vice-Presidents and Nico Kass, a farmer from Luxemburg as Treasurer, Patrick Wrixon (UK) has been elected as member of the Board and as President of EISA. At the same time, Dr. Anton Kraus, General Manager of the national EISA member from Germany, FNL, has taken over as chairman of the EISA Executive Committee from his predecessor Dr. Gibfried Schenk. The new EISA President Patrick Wrixon follows Tony Worth who has successfully chaired EISA for the last five years. 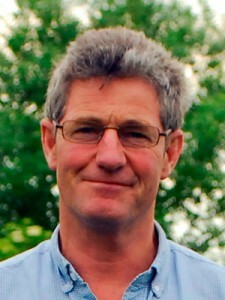 Patrick runs a mixed sheep and arable farm in the Welsh Marches. As a graduate in agriculture – and following his commitment to the holistic approach of Integrated Farming – he has invested considerable time and effort in enhancing wildlife, improving efficiency and increasing the production and use of renewable resources on his farm. As Sylviane Martin-Pierrat (FARRE), Heinrich Kemper (FNL) and Nico Kass (FILL), Patrick Wrixon (LEAF) has been involved in the work of the respective national EISA member organisation for years. “We must not get tired of demonstrating to the public, to representatives of the media, to administrators and to politicians, that Integrated Farming is a truly sustainable approach, which allows for the efficient production of food, feed, fibre and energy for a continuously growing world population and also takes good care of nature and the environment”, said Patrick when pointing out his objectives for the years to come. He expressed serious hope that in the context of the current CAP reform, EU politicians will recognise the holistic system of IF as one of the best ways to achieve sustainability in agriculture. The European Initiative for Sustainable Development in Agriculture (EISA), founded in 2001, is an association of national farmers organisations from seven EU Member States: FARRE (Forum de l’Agriculture Raisonnée Respectueuse de L’Environnement, France), FILL (Fördergemeinschaft Integrierte Landbewirtschaftung, Luxemburg), FNL (Förder­gemeinschaft Nachhaltige Landwirtschaft, Germany), GOSZ (Grain Producers’ Organization Hungary), LEAF (Linking Environment and Farming, United Kingdom), ÖAIP (Österreichische Arbeitsgemeinschaft für Integrierten Pflanzenschutz, Austria) and OiB (Odling i Balans, Sweden). EISA and its members promote Integrated Farming on a European level.